Details are sought on the use of public money. What began as a federal probe of a single charter school in Northeast Philadelphia two years ago has spread to at least 18 schools and may be the largest federal charter investigation in the country, experts say. "I can't think of a similar situation" anywhere else, said Nelson Smith, president and chief executive officer of the National Alliance for Public Charter Schools in Washington. "There has not been any other state or city that has had this kind of charge made against so many [charters] in a confined period of time," said Jeanne Allen, president of the Center for Education Reform, also in Washington. In recent weeks, a flurry of federal subpoenas has been served on schools across the city seeking five years' worth of financial records to show how the charters have spent taxpayer money. Documents from one school provided to The Inquirer offer a glimpse into the broad scope of the federal inquiry. At New Foundations Charter in the Northeast, investigators sought a wide range of print and electronic records, including those showing how the school spent public money. The school received $5 million in the last academic year. 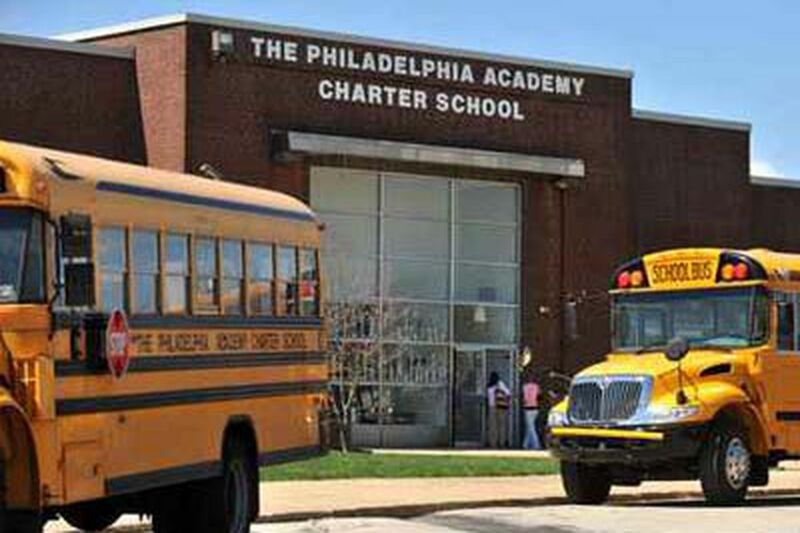 The federal probe was launched in May 2008, shortly after The Inquirer reported allegations of financial mismanagement, nepotism, and conflicts of interest at Philadelphia Academy Charter School in the Northeast. Two former officials are in federal prison after pleading guilty to fraud charges. The probe widened as The Inquirer disclosed problems at other charters and now includes all 13 schools that City Controller Alan Butkovitz highlighted in his recent charter investigation. Butkovitz found compliant charter boards, apparent conflicts of interest, unusual salary arrangements for chief executives, and complex real estate deals in which charters leased facilities from related organizations. He said the schools were chosen because documents indicated they had many of the same problems The Inquirer uncovered at Philadelphia Academy. Smith said he was not surprised the probe had grown. Given the controller's allegations, "the U.S. attorney is probably obligated to talk to people and ask for records," he said. Smith said ambiguity in Pennsylvania's law and confusion about using nonprofit groups to own charter buildings might have resulted in many of the practices Butkovitz questioned. He cautioned that subpoenas do not necessarily result in criminal charges. "At the end of the day," he said, "we think there may be much less fire than smoke." Largely as a result of Philadelphia's charter problems, the state Senate Education Committee is moving to overhaul Pennsylvania's 1997 charter law to close loopholes and increase oversight. Though the city appears to be a hotbed of criminal investigations into charter schools, the U.S. Department of Education warned in March that charters across the country were increasingly the focus of fraud allegations. The report by the department's Inspector General's Office, which is involved with the charter probe in Philadelphia, focused on charters' vulnerabilities and stressed the importance of "adequate and appropriate oversight" of the taxpayer-funded schools. In the last five years, the report said, the Inspector General's Office has opened more than 40 criminal investigations of charter schools nationwide that have resulted in 18 indictments and 15 convictions. The offenses have included embezzling, inflating enrollment to obtain more funding, changing grades, and creating companies to divert money from schools. But some charter proponents question why officials have put such a spotlight on Philadelphia's 67 charter schools. Allen said that many issues raised in the city controller's report were blown out of proportion and that the report failed to consider the schools' academic programs. Though Allen's organization supports closing problem charters, she said Butkovitz's report "almost makes it look like they are on a witch-hunt. I think it makes it look worse than it is." John J. Pease, an assistant U.S. attorney overseeing the federal charter probe, declined to comment on whether the investigation was expanding. Other sources, however, confirmed that federal interest had widened to 18 local charters. Two weeks before Butkovitz released his April 8 report, federal agents fanned out across the city to deliver subpoenas to nine of the charters he examined, requesting five years' worth of financial records, according to charter school attorneys and others. Butkovitz said he shared his findings with federal authorities before releasing the report. The other four schools already were under investigation. In some cases, separate subpoenas were issued for records of charters' related companies and nonprofit organizations. For example, federal agents visited Franklin Towne Charter High School in Bridesburg on March 23 and 25 to subpoena its records and those of Franklin Towne Holdings L.L.C., a company involved in a complex leasing arrangement with the charter, the school's attorney confirmed. At New Foundations Charter in the Northeast, staffers in early April received letters and memos from the school's administrators and attorneys directing them to preserve a broad range of documents and electronic records received since Jan. 1, 2005, because the school had received a federal subpoena. The subpoena requested all documents related to payments, agreements, and contracts with: the nonprofit group that owns the school building; the school's business manager, Santilli & Thomson L.L.C. ; and a company owned by Gerald Santilli and Michael C. Thomson that provides occupational-therapy services to students. Santilli and Thomson are former members of the nonprofit organization that owns the building. Santilli declined to comment; Thomson could not be reached. The staff also was told to retain minutes from board meetings, "loan guarantee" documents, and records of payments and transactions with companies or organizations that have ties to school staff. New Foundations employees were required to sign statements saying they had read the document and would not disclose information about the federal subpoena to anyone. A staffer who was troubled by the language in the confidentiality agreement sent copies of the memos and a letter to the U.S. Attorney's Office and to The Inquirer. Matthew Haverstick, a lawyer handling the subpoena for New Foundations, declined to comment. According to the March report prepared by the assistant inspector general for investigations at the U.S. Department of Education, 24 of the 40 criminal probes the office has launched since 2005 remain active. The report does not identify where they are. But the document summarizes the probes that have resulted in indictments; California, Illinois, and Wisconsin have each had a case involving a single charter operator. In Texas, officials at two charter schools were charged. Pennsylvania is the only state mentioned in the federal report that has had three charter investigations. All were in Philadelphia, and the cases resulted in five charter officials pleading guilty or being convicted of federal fraud charges. Only one of those three schools - Philadelphia Academy - is among the 18 charters in the current investigation. A former CEO and a former board president are in federal prison. Brien N. Gardiner, the school's founder, committed suicide last spring when charges appeared imminent. The other city charter schools mentioned in the federal report were the targets of separate, earlier probes: the now-defunct Center for Economics and Law in Southwest Philadelphia and the former Raising Horizons Quest Charter School with campuses in Northeast and West Philadelphia.